Moscow is the most famous city of Russia, the capital of Russian Federation. A large number of people from different countries come in Russia every year. Approximately 70% of tourists are visiting Moscow while their travel in Russia. Visiting Moscow people (both foreigners and citizens of Russia) have different purposes of his trip: business, job, education, tourism. The visit-plus.com site has a lot of information which could be helpful for planning a trip to Moscow people. Skip to your point of interest: attractions, museums, theaters, places to visit, accommodation, guided tours and more information. According to statistics, more than 12.33 million people officially live in Moscow. It can be assumed, that there are living much more people in Moscow actually. Citizens of some countries have the right to enter the territory of Russia without a visa. Preferential mode exists, for example, for the citizens of Belarus, Ukraine and Kazakhstan. They often come to Moscow on a business trip and can stay for a while without registration. Moscow territory has increased significantly in 2012. July 1, 2012 a large territory was joined the city, which before was located to south-west of the city. It often named as “Big Moscow” or “New Moscow”. The occupied by the city territory has increased by 2.4 times. Moscow was visited by over 5 million foreign citizens in 2013. The largest number foreigners come in Russia from China and Germany. Among Russian capital visitors, there are also many citizens of France, USA, Italy, UK and Turkey. According to statistics, most of the comings to Moscow foreigners quote "tourism" as the purpose of his trip (about 40 percent). A large proportion of people are also arriving for business purposes to Moscow ("business tourism", about 34% in 2013). Countries, from which most tourists’ number come to Moscow (2013, thousands of people): China - 376.5; Germany - 331.2; France - 152.1; Turkey - 146.2; USA - 144; Italy - 142.1; United Kingdom - 127.1. The number of visiting Moscow tourists is increasing every year. Tourists are attracted by not only the sights, museums, theaters and parks. Moscow hosts a lot of events for business, exhibitions, conferences, seminars. The most interesting events for lovers of art take place in Moscow. Moscow is the venue for many major sporting events. Football World Cup also attracts large numbers of tourists in Russia and in Moscow in 2018. What attracts tourists to Moscow? There is a lot of interesting in Moscow. Everyone can find something that interests him. Information about the most popular places of interest is available here. It may be useful to know while planning a trip in Moscow. There are many interesting places for tourists in Moscow. 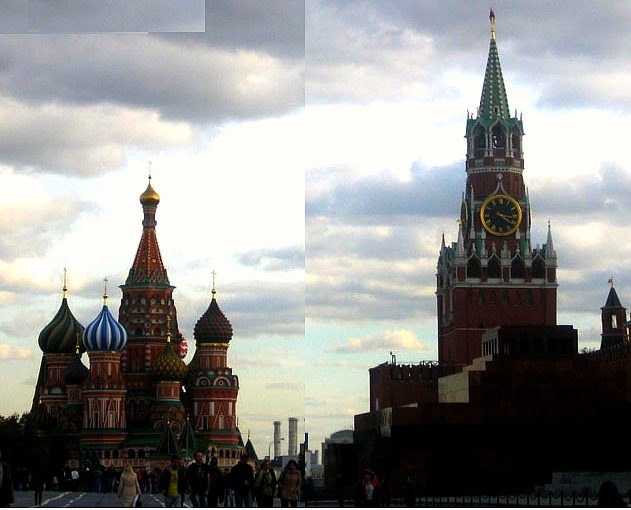 "The Red Square" and "The Moscow Kremlin" are the most visited by tourists places in Moscow. The most famous church of Russia, St. Basil's Cathedral, also is located on Red Square. This is the most popular sights of Moscow. Being in the Moscow Metro, pay attention to the design of stations. Many metro stations are a kind of sights of Moscow. There are many interesting museums in Moscow. All coming to Moscow tourists would like to enter the territory of the Kremlin. Museum "Moscow Kremlin" is servicing tourists on the territory of the Kremlin. Largest historical museum of Russia is located on the Red Square. “The Tretyakov Gallery” and the Museum of Modern Art will be interesting for lovers of art. Polytechnic Museum (which is located not far from Red Square) will be interesting to see for those who are interested in technique and technology. Get more information about the museums in Moscow. Moscow is famous for its theaters. Best actors of Russia acts in Moscow theaters. The most popular artists of the world often include Moscow in the program of their concert tours. “The Bolshoi Theatre” is known over the world. Theaters like “Taganka Theater” and “The Puppet Theatre” are known in all cities of Russia. Not only classical works, but also the creative experiments of modern authors can be seen in theaters in Moscow. Information about the most popular theaters in Moscow is available on the site. What places to visit in Moscow? There are many places which would be interesting to visit in Moscow. Many interesting events occur in Gorky Park. VDNKh is also a place that pleases both tourists and residents. We recommend visiting Sparrow Hills. This is one of the most popular places to spend free time residents. New interesting places regularly appear on the map of Moscow. For example, one of the most popular among fans of creativity and contemporary art, Contemporary Art Centre "Winzavod"(Winery). It may interest you: flights to Moscow - to buy a ticket at the best price. Where to stay in Moscow? In which part of the city is it best to book a hotel (hostel, apartment)? It all depends on the purpose of your trip. Tourists prefer to choose hotels in the central part of the city. So that the main attractions (the Kremlin, Red Square, Arbat, Bolshoi Theater, etc.) could be reached on foot. So, it was possible to walk on interesting places at any time of city and not to spend time and money for transport. Our review: hotels near the Kremlin and Red Square in Moscow. There are many best hotels located in the central part of Moscow. But there are also cheap hotels and hostels too. Tourists with any budget can find an affordable place to stay in the center of Moscow for themselves. But if that they take care of this in advance only. The best places in hotels can be booked long before the peak of the tourist season. It is quite convenient to choose a hotel and at a distance from the center, but next to the metro station. You can try to look for hotels near popular tourist places (VDNH, Gorky Park, Vorobyovy Gory, Moscow City etc.). If you come to Moscow with a specific purpose (on a business trip, for study, for treatment), it is more likely to be more convenient to choose a hotel near the place of your main location. You will find information about the nearest hotels on the pages describing the metro stations. Use any hotel reservation service to find accommodation in the right place. For example, the site bookingcom offers for booking not only rooms in hotels and hostels, but also apartments. Moscow is the most important trade, business and financial center of Russia. Russian Federation state government offices are located here. The Moscow Kremlin is the official residence of the President of the Russian Federation. There are main offices of many largest Russian companies, as well as representative offices of foreign companies operating in Russia located in the city. Moscow has enormous financial resources. The most important decisions affecting the country's economy and the lives of millions of people are taken here. Main financial and trade flows of Russia pass through Moscow. A large number of ambitious-minded young people, hoping to succeed, come to Moscow every year. Moscow is an opportunity to get rich and famous not only for Russians, but also for foreigners. But only a few achieve real success. Moscow is also a major transportation hub. The city is served by 6 airports, 9 railway stations, 3 river ports. The metro (underground) operates in the Moscow since 1935. It is most convenient to get around the city by metro. The site has information about many stations of the Moscow Metro. Stations and subway lines location marked on the city map. Moscow is one of the most important educational centers of Russia. The oldest and most famous university in Russia, Moscow State University, is located in Moscow. (The university was founded in 1755 on the initiative of well-known figures of the time Shuvalov and Lomonosov.) Currently, there are many universities, academies, institutes, schools in Moscow, which provide education for students from different cities of Russia and from other countries. There are more than 200 universities, including 60 state universities in the city. The most popular universities among foreign students are: people’s friendship university, Moscow University, School of Economics, the first medical university of Moscow. This site presents useful for tourists information about Moscow. The site will help to determine, what places to visit in Moscow, which should be seen in Moscow. Hotels near the Red Square in Moscow. 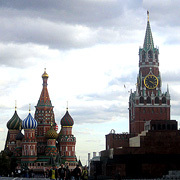 Guided tours in Moscow - choose online. Railway tickets in Russia (and in Europe). Moscow - information and tourist guide. The most popular: the Moscow Kremlin, the Red Square, the Tretyakov Gallery.